 Advanced Keyframe Editing - Hollywood FX Pro gives you full keyframe editing of flight paths and every parameter through its advanced keyframe editor. HFX Pro includes advanced shift and scale tools as well as spline curve presets.  Compatible with major editing tools - Hollywood FX Pro is comaptible with all you favourite editing tools like Pinnacle Edition DV, Adobe Premiere, Avid MCXpress/Xpress/Composer/Symphony, in:sync Speed Razor, Fast Video Machine & 601, Ulead Media Studio Pro, Media 100 & Finish, DPS Video Action Pro/Velocity, Panasonic DVEdit & NewsByte, Sony ES-3.  Convenient Control - With every transition you can change flight direction, lighting, shadows, shine, motion blur, trails and antialiasing with the click of the mouse. 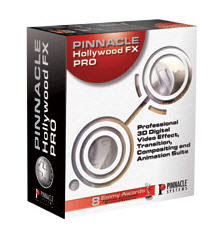  Create Your Own FX - Hollywood FX Pro provides a full set of tools to quickly and easily create your own FX. Use with one of over 300 FX that come with HFX Pro, or start from scratch and use advanced tools like object cloning to create incredible 3D transitions, MultiWindow FX, and 3D composites in minutes.  Easy To Use - Simply drag-and-drop Hollywood FX Pro into your timeline like any other transition. The HFX dialog will appear and you can select a transition and change your options.  Instant feedback - Instant feedback while designing a composite is crucial for today’s projects. Hollywood FX’s interface has been designed to allow quick alteration. You want that ball to fly off the top without re-keying, simply rotate the easy direction dial.  Media Control - In addition to transitions, Hollywood FX Pro includes a wide range of 3D MultiWindow Effects with additional video sources that can be mapped easily onto objects in HFX.  Organised - Transitions are organised into convenient categories with icons that let you find the transition you want instantly. You can even reorganise effects into your own categories.  Plugin Power - Hollywood FX Pro includes a basic set of image filters and 3D warp plugins to add real power to customize any FX. Explode, peel, ripple or twist any 3D object. Use chroma key with any media.  Surfaces - Surfaces of 3D objects can be mapped with video or simple colours to create an incredible variety of FX. You have full control over basic colour, luminous colour, and shine. AVG Anti-Spyware is a brand-new program brought to you by Grisoft that will detect and remove the spyware on your computer. Using AVG Anti-Spyware you can perform a complete system scan, a fast system scan, but also registry scans, memory scans and custom scans. Using AVG Anti-Spyware you can detect and remove running processes, browser plugins, autostarting applications, available connections. AVG Anti-Spyware has a variety of other tweaks and a powerful file shredder. • 24/7 technical support provided at no extra cost. • Cutting-edge anti-spyware technology — Using the latest state-of-the-art detection technology, AVG detects spyware, adware, DLL-trojans, keyloggers, and much more. Malware hidden in data streams, archives, or the Windows registry is also detected. AVG also scans the memory to detect active threats. • Full on-access protection — The powerful AVG Resident Shield provides maximum protection by scanning every file opened, executed, or saved. It also prevents the opening or executing of malware. Self-protection at the kernel layer guarantees gapless monitoring by preventing malware from disabling your anti-spyware protection. • Automatic threat handling — AVG can automatically clean infected files and remove other threats such as trojans, dialers, hijackers, spyware, and keyloggers. Suspicious files can be safely moved into quarantine. • High-level scanning capabilities — AVG detects sleeping and non-dangerous malware (i.e., malware that has been downloaded but not yet activated). It uses strong signatures to defeat attempts to avoid detection via malware variation, and can securely detect and delete DLL-trojans. With generic crypter and binder technology as well as heuristic analysis, AVG offers your computer the most comprehensive detection of malware. • User friendly and intelligent operation — In addition to an intuitive user interface, AVG offers easily configured intelligent updating and simple scheduling of tasks. Configuring program exceptions is straightforward and allows you to exclude specified programs from AVG’s thorough scanning. • Complete set of analysis tools — AVG Anti-Spyware allows you to check and control your computer with a wide array of analysis tools such as viewers for processes, connections, browser plugins, startup entries etc. It also features a shredder for secure file deletion and a tool to harden your Windows installation. Export high-resolution images up to 11″ x 17″ (4800 pixels, sample print - 890k), and use them in documents, presentations, web or printed materials. 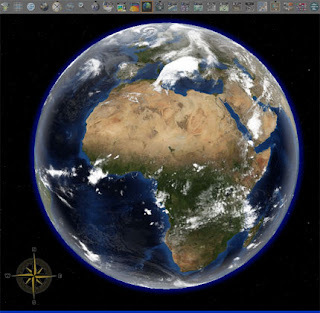 You audience can come along for the ride as you create your own compressed movies (.wmv, sample movie - 13MB) of the zooms and virtual tours you take in Google Earth. and time, even if the system was stopped in hibernation. Wake up from sleep mode - Auto Poweron & Shutdown allows you to wake up your computer from sleep mode (s3 standby) at specified time. Task Schedule - Auto Poweron & Shutdown allows you to open files, play sounds, run programs, close programs, open website, show messages, standby/hibernate, shutdown/reboot, etc. at any specified time. Auto Shutdown - This is a feature of Auto Poweron & Shutdown that you may find useful. It allows your computer to auto-shutdown at specified time. Wake up your computer from sleep mode (standby) . Run programs, close programs, open files and open URL at any specified time . Play mp3, wma , wav and flash at any specified time . Logs on system automatically (Win2000/XP/Vista) . Shutdown or reboot , log off, lock session, close monitor, make computer enter sleep mode (standby/hibernation) at any time . Synchronize your PC's time to atomic clock servers . SoftPlan Architectural Design Software is the building industry’s leading residential and light commercial CAD software package. Utilizing SoftPlan as your design tool will give you the flexibility to create complex, custom drawings with speed, accuracy, and ease. Draw with fully assembled and fully customizable items such as walls, windows, beams, etc. 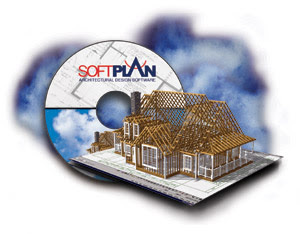 With SoftPlan you can create floor plans, cross-sections, elevations, framing plans, detail drawings, and site plans. Developed specifically to automate the design and presentation of residential and light commercial construction projects, SoftPlan allows you to build a model of your project on your computer before you build it on the lot. SoftPlan’s “virtual model” design gives you complete working drawings and realistic 3D renderings. From quality and speed second to none to easy automated features, drawing in SoftPlan offers the convenience and accuracy of detailed floor plans using familiar objects such as walls, windows, and doors, automatic or custom roofs, site plans based on engineering data, instant cross sections and elevations and much more. SoftPlan’s learning curve is the absolute shortest in the industry, and object orientation is one of the key reasons SoftPlan has established such an extensive and varied range of users. SoftPlan allows you to draw with fully assembled items such as walls, windows, beams, etc. Therefore, you do not need to learn a whole new language or x,y,z coordinates to effectively use the program. Because SoftPlan is an object oriented design program, users of this software are only responsible for designing floor plans. Once the floor plan designs have been completed, SoftPlan automatically creates elevations, cross sections, roof framing, wall framing and much more! Not only does SoftPlan make the design process easier, it greatly impacts your bottom line profits by increasing the speed at which designs can be created and edited. One of the keys to SoftPlan’s timesaving characteristics is automation. SoftPlan has been designed with specific tools that eliminate the unnecessary and repetitive tasks that conventional CAD packages require. For example, through the SoftTalk module you are able to do what no other CAD program in the world enables you to do, and that is simply speak your way from concept to completed drawing. Although SoftPlan is an exceptional design tool, it is a practical and necessary sales tool as well. Through SoftList, it has the capability to provide you with accurate material lists and cost estimates. Through SoftView, it automatically renders your floor plan into an amazingly realistic visual presentation. Your clients will be pleased at how precise and meticulous their estimate is and amazed when they can actually see a 3D rendering right from the start! This alone will aid in building your reputation and increasing the number of jobs you will secure. With NetSupport School, Teachers and Trainers can improve classroom instruction by centrally instructing their Students on their PCs, maintain Student attention by monitoring application and web usage and save time by quickly polling the class and showing instant results. Teachers can also record all screen, keyboard and mouse activity on a Student workstation to review later or replay to the whole class. With educational budgets under increasing pressure, NetSupport School enables schools, colleges and training institutions to maximise the return from the IT infrastructure already in place. The Internet monitoring and control features of NetSupport School have been further enhanced providing internet control across a wide range of browsers and the inclusion of partial URL filtering. Teachers can now provide access for students to selected pages on a website, but restrict access to other pages at the same site. Version 9 also includes the ability to block FTP access as standard. In addition the latest version of NetSupport School features a new “SafeSearch” feature, which overrides the search settings for most leading search engines and prevents inappropriate content being returned within search results. NSS9 The Students Testing modules have been further enhanced, with a new Question and Test designer component, easy addition of testing resources via desktop “drag and drop” and a streamlined Test player with improved Student feedback. NetSupport School now also features an online resources exchange, where teachers can upload, download and share resources for the classroom. Wireless support in NetSupport School has been extended to offer improved performance over wireless access points and the inclusion of class lists. To complement this a new class list creation tool is now provided to allow for off-line preparation of class lists. The latest version of NetSupport School also features a Student Locator, this connectivity server allows wireless student laptops to be located across any LAN or WAN. Using this new, standard component, Students’ wireless laptops can be located and connected to from any Class list no matter what their current IP address information or subnet is. NSS9 NetSupport School is now provided with full support for Windows Vista in addition to its existing platform support. Nullsoft Winamp is a fast, flexible, high-fidelity media player for Windows. Winamp supports playback of many audio (MP3, OGG, AAC, WAV, MOD, XM, S3M, IT, MIDI, etc) and video types (AVI,ASF,MPEG,NSV), custom appearances called skins (supporting both classic Winamp 1.x/2.x skins and Winamp 3 freeform skins), audio visualization and audio effect plug-ins (including two industry dominating visualization plug-ins), an advanced media library, Internet radio and TV support, CD ripping, and CD burning. * Includes over 50 color themes that suit nearly every mood or occasion!